Keep posted on its streaming date! Maybe you’ve already seen Ang Larawan, a musical film directed by Loy Arcenas that won Best Picture at the Metro Manila Film Festival in 2017. It starred Rachel Alejandro, Joanna Ampil, and Paulo Avelino. 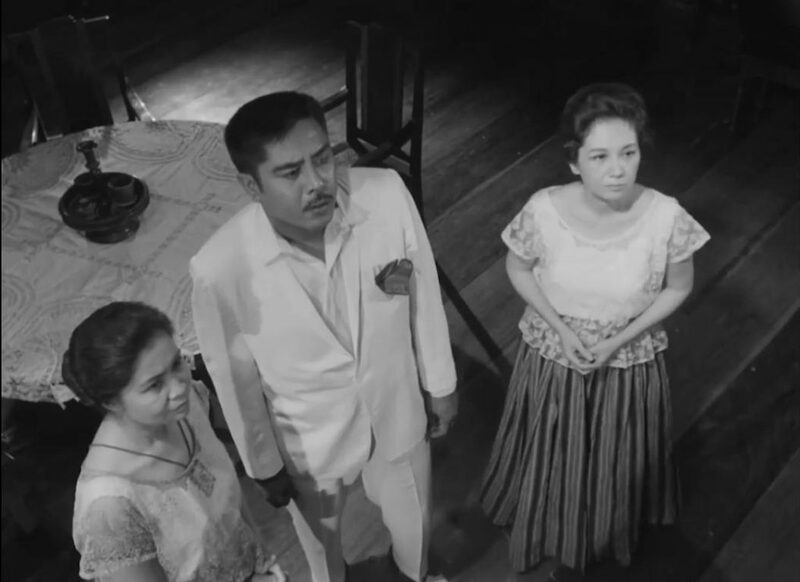 But have you watched the black-and-white English-language film adaptation of the original literary play, which Ang Larawan was based on? Not yet? Well, good news. You can stream A Portrait of the Artist as Filipino by National Artist for Literature Nick Joaquin on Iflix soon. Set in the pre-World War II Intramuros, Old Manila, the film is about the family of a great but impoverished painter. He is a father to four—to two daughters whose “youth and dreams have died but not dignity and gentility, trying to survive the ravages of poverty in an old paternal home,” as Prof. Lala Castillo wrote in an article, and another daughter and a son who want to sell the house to make ends meet. Joaquin published his well-known play of the same title in 1950. It aired on the radio before it got presented on stage five years later in Intramuros. And then 10 years later, in 1965, it was adapted into a film directed by the very first National Artist for Film Lamberto V. Avellana. The cast includes Daisy H. Avellana, Naty Crame-Rogers, Vic Silayan, and Conrad Parham. In 2014, the Film Development Council of the Philippines co-financed the restoration of the film with Mike De Leon, film director and son of the producer of the 1965 film Manny De Leon. They commissioned L’Immagine Ritrovata in Bologna, Italy to do the restoration. Last year, Mike De Leon re-released the restored version for Cinema Artists Philippines. Just keep posted as there’s no date for it yet. We hope this is just a start for the resurgence of Filipino classic films.